This Tuesday we’re very excited to have a special tasting with Tasting Room Manager and Honig Rep Heather Torres. 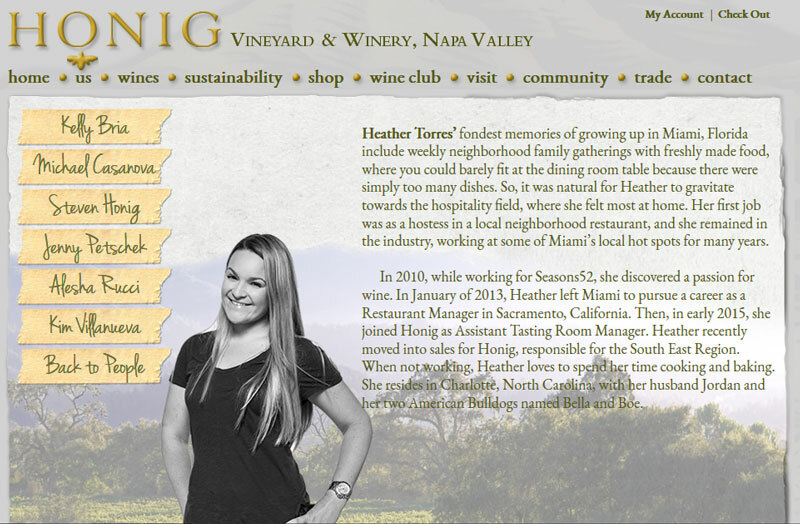 Heather will share 5 wines from this family-owned, sustainably run vineyard in the heart of Napa Valley. *PLEASE NOTE: Unlike our usual tastings which run all evening, we will be having two seated tastings at 5:30 and 6:30 so that we can make the most of Heather’s visit to Mobile. If you are interested in attending, could you please just note the timeframe in our FB comments section so we can come up with a rough headcount as our back room only takes 30? Thank you and hope to see there! Additional details: We’ll be tasting Honig’s Sauvignon Blanc, Rutherford Sauvignon Blanc, Cabernet Sauvignon, Bartolucci Single Vineyard Cab, and Late Harvest Sauvignon Blanc.